One of the great things about Los Angeles is that there are so many fun and exciting ways to spend your time outdoors. When the weather is always sunny, there are so many opportunities to take advantage of such as going on a hike, heading to the beach or merely exploring what the city has to offer. 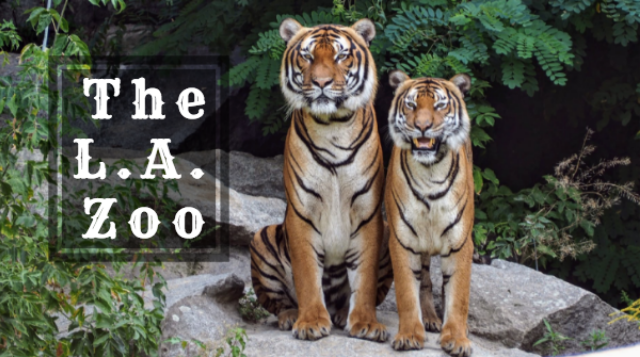 If you are looking for an activity that the whole family can enjoy, then you’ll want to hear all about the LA Zoo. Stay at the Los Angeles Athletic club hotel and be close to all that the city of Angels has to offer. The Los Angeles Zoo is a great activity for kids of all ages to enjoy. With over 250 species in a range of 133 acres, the zoo and accompanying botanical gardens has plenty for everyone to enjoy. Did you know that World Elephant Day is August 12th? In order to celebrate, join the LA Zoo for a fun-filled weekend where you can learn amazing facts about these gentle giants. For example, did you know that elephants can live to be over 70 years old? During the weekend you can also go on a fun, behind the scenes tour to see how the elephants at the LA zoo are cared for. Stop by the Conservation Craft station, and let your creativity fly using recycled materials. These are just some of the activities you can enjoy during the World Elephant Day weekend celebration. For those 21 and over, the zoo is still a fun place to enjoy, especially with the Brew at the L.A. Zoo events that are held throughout the summer. At these events sample craft beers from over 40 breweries that are all local to the area. As you imbibe on your brews, enjoy live music, spend time with friends and learn more about the animals who call the zoo home at pop-up zookeeper talks and animal discovery stations!